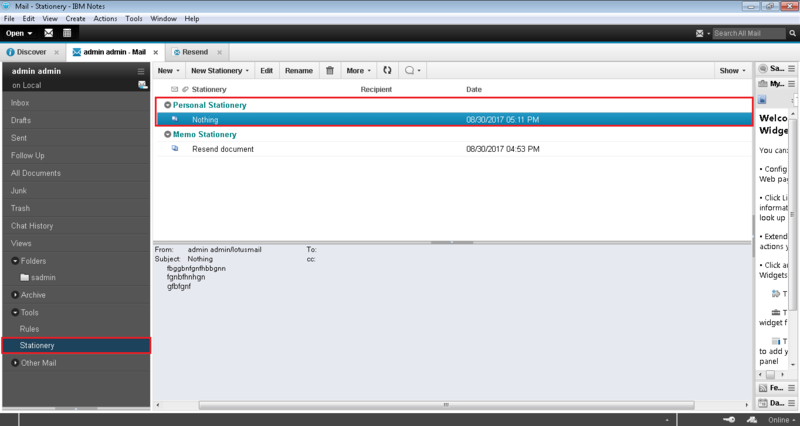 What is Stationery in Lotus Notes? 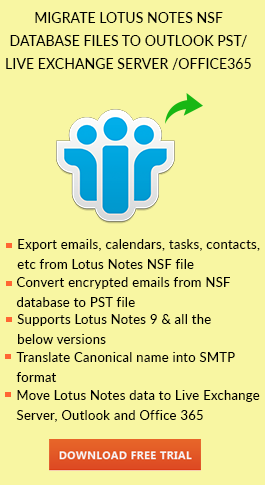 Lotus Notes Stationery is used to create email templates in Lotus Notes. It reduces efforts of writing the same email again and again. It can be created with text, graphics, letterhead, recipient list, etc. It can be helpful when a user needs to send a message frequently in the same format every time. So, it can save time as well as efforts and provide an already written email to send further to one or many users. 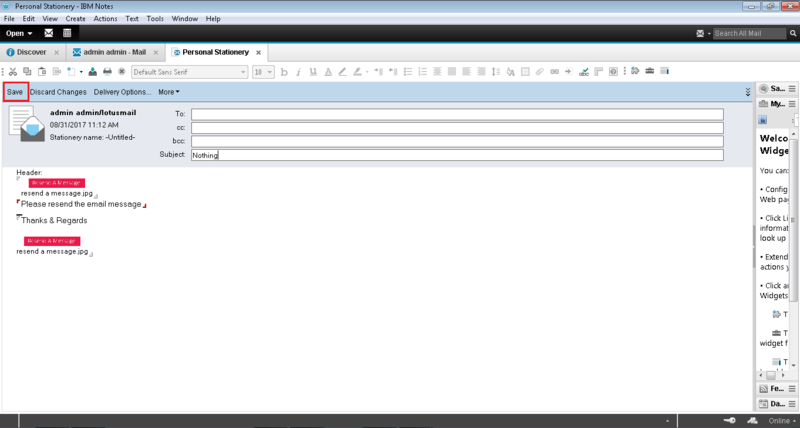 How to Create Stationery in Lotus Notes 9? 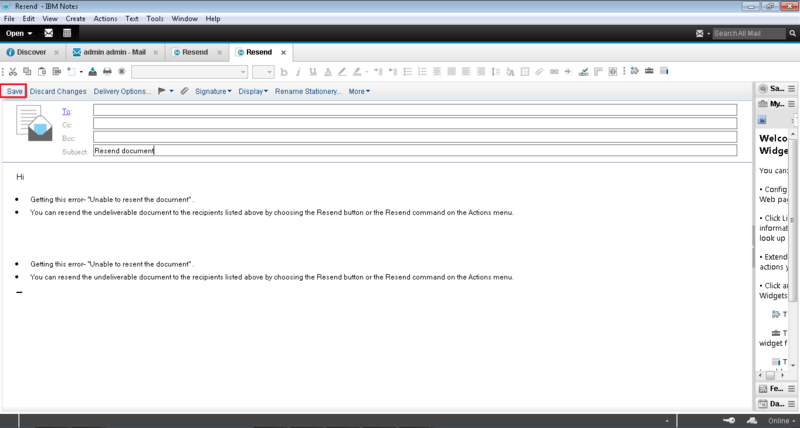 Open the IBM Notes 9 then open your mailbox. Go to Tools >> Stationery from the left pane. Then click on New Stationery drop down menu >> Message. A new email window will open. Now, write the email message along with the subject. Then click on More drop down menu and click on Save as Stationery. A dialog box appears. Name the title of the Stationery you have created then click on OK button to finish the process. Now, you will be redirected to your mailbox. Now, click on Tools >> Stationery on the left panel to view and use the stationery. You can check the stationery created with the same title name on the right panel of the window. To send any email message using stationery, double click on it. Now, you can see that the same message is displayed on the screen. Now type the email id to whom you want to send the email. At last, click on Send button. Now you can verify your email by clicking on Sent from the left pane and you can see that email template is sent to the user. You can create Personal Stationery in the same way. Go to Tools >> Stationery from the left pane. Then click on New Stationery drop down menu >> Personal. 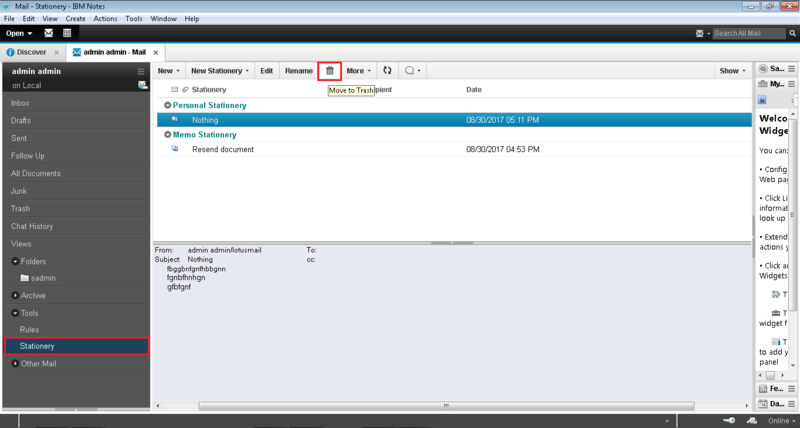 Add the image or text in email body as per the format and write a subject of the email and click on Save button. Type the title of the personal stationery and click on OK button. 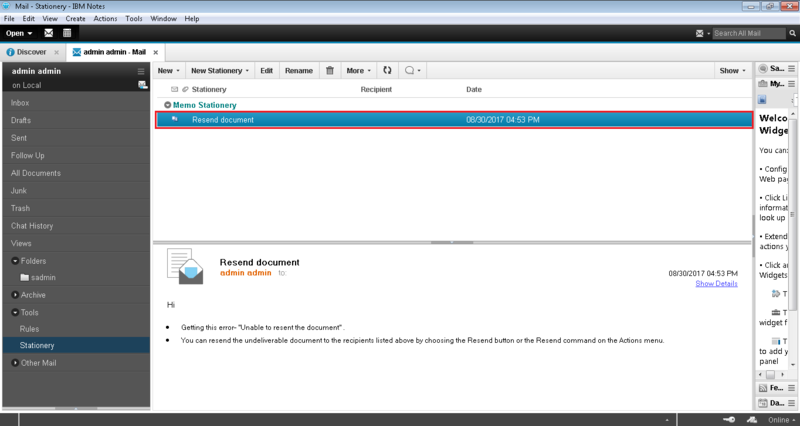 Now you can view the newly created personal stationery by clicking on Tools >> Stationery from the left panel. In the same way, you can send emails to any user using this email template. 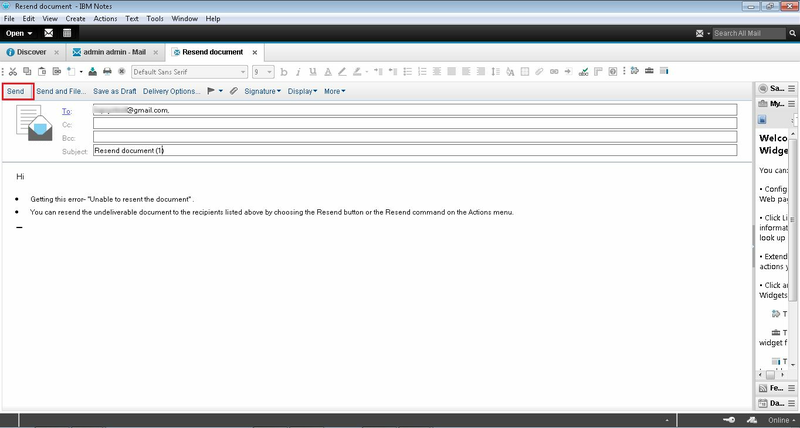 How to Edit Stationery in Lotus Notes? Go to Tools in the left panel of the window and click on Stationery. 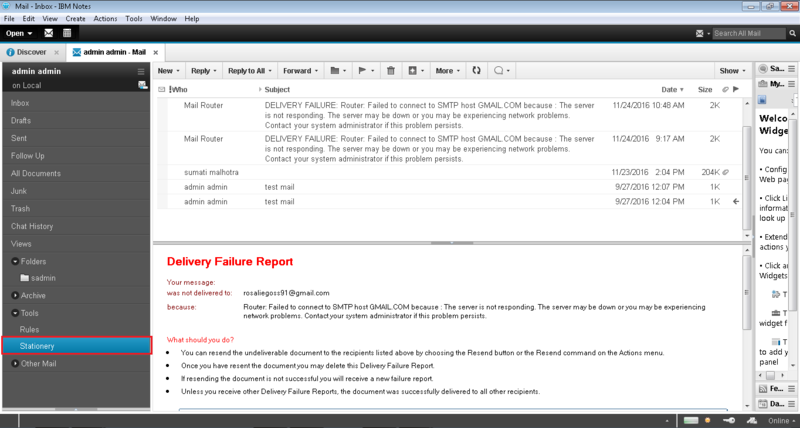 Then all the email templates will be visible in the right panel of the window. Click on the template you want to edit. Then click on Edit button as shown. 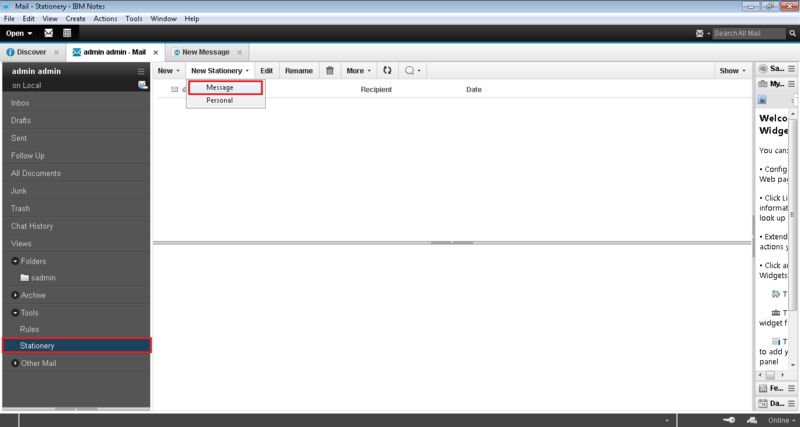 Now you can modify the email message and then click on Save button. 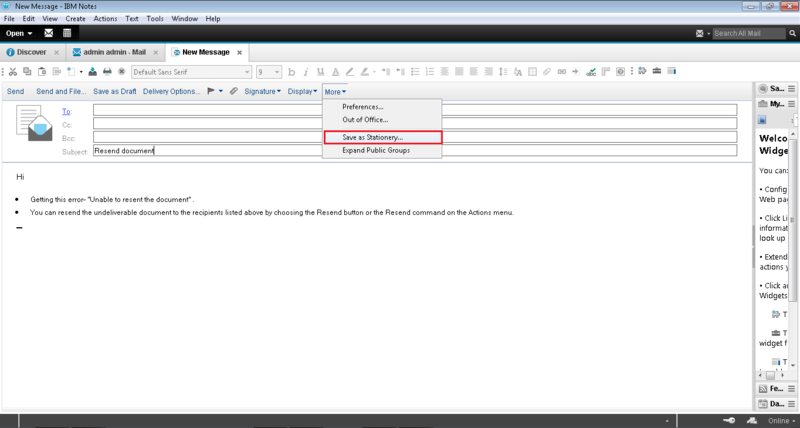 How to Delete Stationery in Lotus Notes? 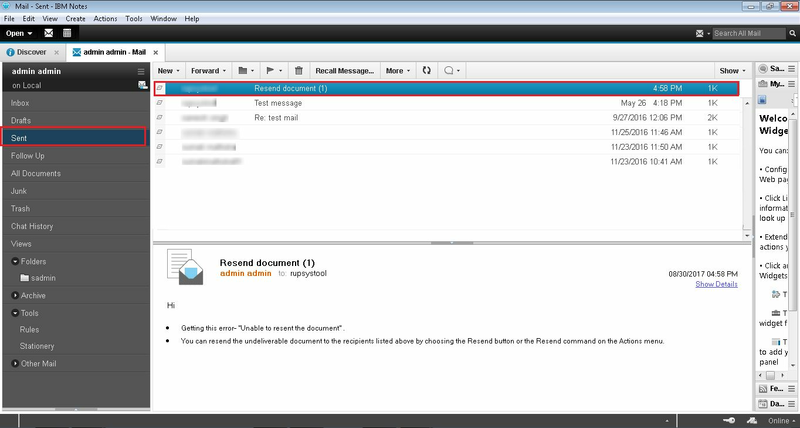 It is easy to delete the email templates when there is no requirement for such email message. You need to open IBM Notes then go to Tools >> Stationery. Select the template and click on the icon as shown below. It will remove the template from the stationery window.